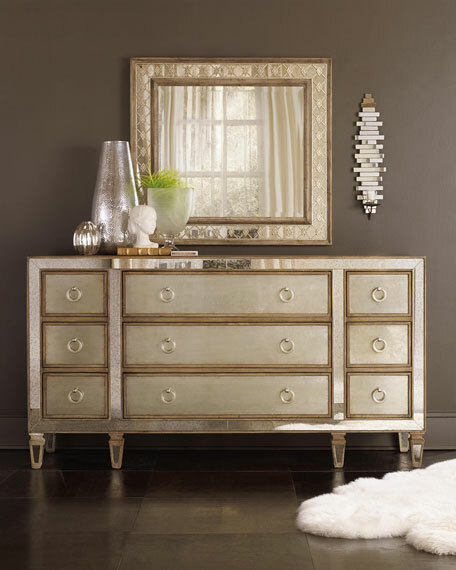 Handcrafted beveled mirror doubles as accent mirror. 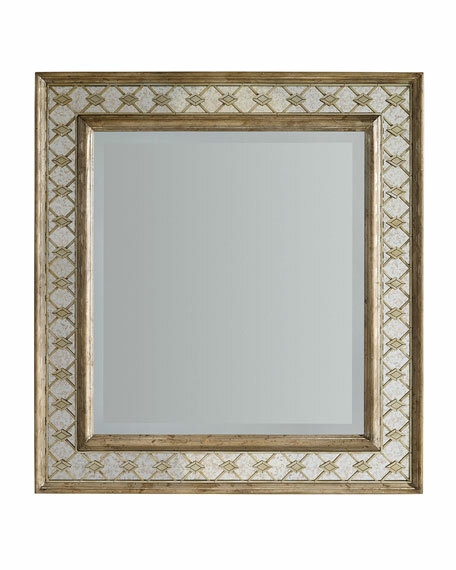 Frame made of poplar and hardwood solids with silver-leaf finish, metal fretwork, and antiqued mirror accents. 34.25"W x 1.75"D x 37"T.
Weight, 44 lbs. Boxed weight, approximately 64 lbs. For in-store inquiries, use sku #1823486.